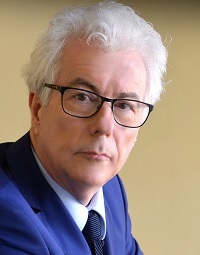 Ken Follett has been honoured in France with the title Officier d' Ordre des Arts et des Lettres. Follett, whose bestselling novels include The Eye of the Needle and The Pillars of the Earth, is published in France by Robert Laffont. His UK publisher is Pan Macmillan. Laffont ceo Cecile Boyer-Runge said: "We're very proud that Ken Follett, a Francophile and French-speaker, regarded as one of the world's most popular authors, is being distinguished by France in this way." Follett said: "I’m extremely happy to receive such a distinction from the people of France, a country I’ve loved ever since my first visit in 1966."